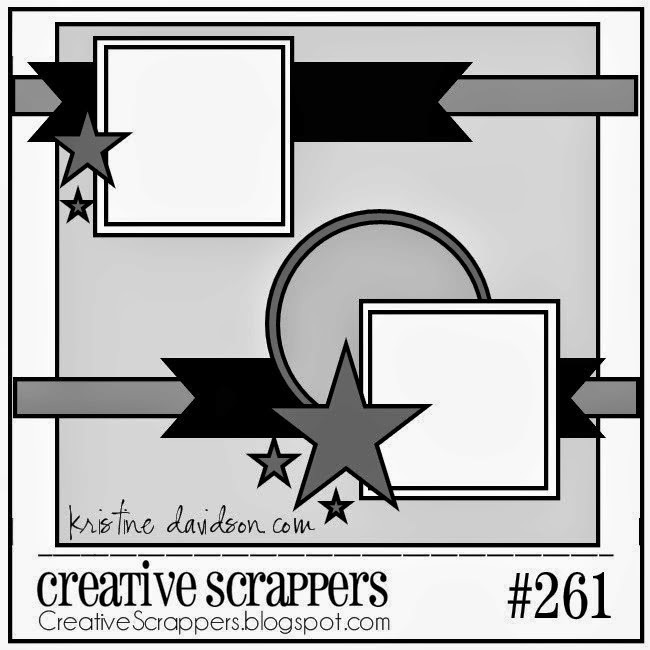 Creative Authority: Creative Scrappers Sketch #261 Reveal! Creative Scrappers Sketch #261 Reveal! 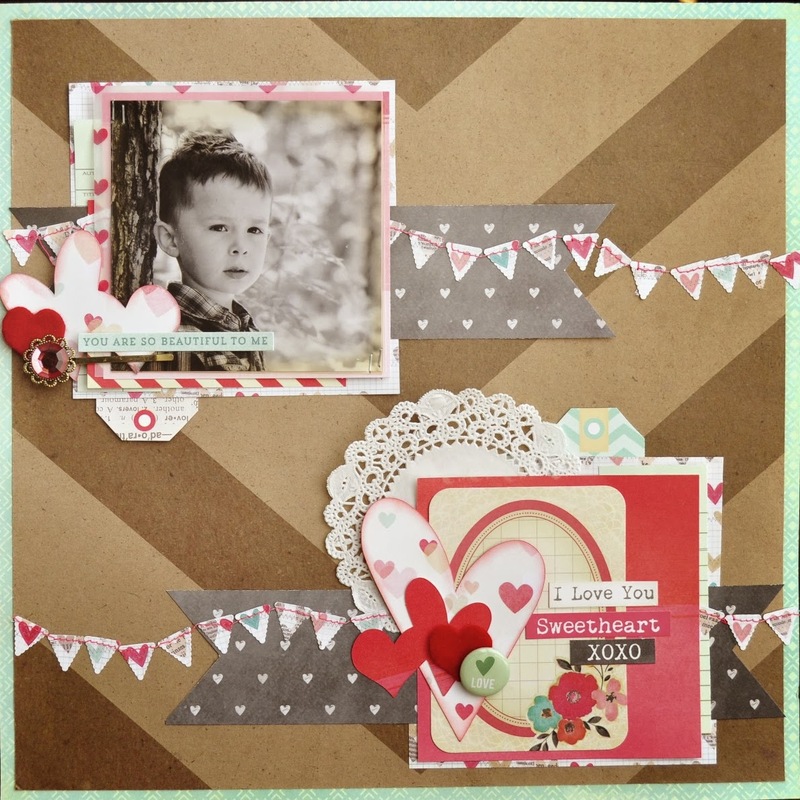 Today is another wonderful reveal over at Creative Scrappers! Sketch #261 by Kristine Davidson is really great for adding your IG photos to your layouts. I used some of the new Crate Paper Love Notes line along with some little embellies and die cuts from my Silhouette. Again it's a bit feminine with all the pink and red colors, but I couldn't resist using this pic of my little guy. It took me three attempts to get this LO the way I wanted it...I took it apart, ruined some awesome paper and changed out the pics a few times. What a process!!! Head on over to the Creative Scrappers Blog and browse through the other reveals from the other DT members - there are some great and amazing layouts!!! And...if you link up your LO, you will have a chance to win a fabulous prize from Paper Camellia! Sorry it took so many attempts to get it right, i so know that frustration. I have a pl spread on my desk right now that I'm not sure what to do with, lol. I love the little banner though, glad you kept that. And of course Shay is entirely too cute for words. Your page is stunning Jody! I love the Love Notes collection with your b&w photo and the layering is just perfect! I know how you feel and had a page go in the trash for a Team assignment over the weekend!! I just started something completely different and liked the results much better! Just a great LO. My favourite! Well worth persevering to get it this good! Saw your take on the sketch on the Creative Scrappers site and loved it. LOVE the banner and the way you put the adorable page together I am now following you via GFC. Would love for you to stop by and say hi! !